This site pays tribute to the amazing history of lighters, smoking accessories and artistic metal wares produced by The Art Metal Works which was also known as Art Metal Works, Inc., Ronson Art Metal Works, Inc., The Ronson Corporation, and hereafter referred to as Ronson. Ronson has a long and illustrious history of producing high quality cigar and cigarette lighters as well as stylish smoking accessories and Art items for home, office and commercial use. 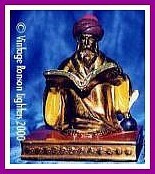 The Company was created by Louis V. Aronson, et al, in 1897 and was incorporated in 1898, in Newark, N.J. The Roaring Twenties saw the begining of the Art Deco movement and smokers were desirous of the latest smoking gadgets, especially when adorned with eye-catching art deco decorations and it soon became fashionable to have a fancy lighter and other smoking paraphernalia. Cigarette producers were hard at work trying to promote their highly profitable products as glamorous and popular with the "in-crowd". The glamour idea was further emphasized by popular personalities of the day who were very well paid for their endorsements. The production of fancy lighters, decorative ashtrays, cigarette dispensers & holders and just about any other device which could be profitably sold to the smoking public exploded into the marketplace as millions of people were seduced by Tobacco, and slick marketing. By the time that the 1930‘s rolled around cigarette smoking had become socially acceptable for ladies in America and much of the civilized World. People were smoking everywhere imaginable! Customers smoked while shopping in grocery and retail stores with floor model ash trays placed in every isle, and as incredible as it may seem, Doctors, Nurses and patients smoked in Hospitals. Tobacco companies grew very powerful; they even had doctors promoting smoking in the major publications of the day. The U.S. Armed Forces supplied a small pack of cigarettes with field rations to our soldiers. Tobacco companies made sure their advertising was everywhere. They employed the latest advertising techniques and promoted their products through every media available. 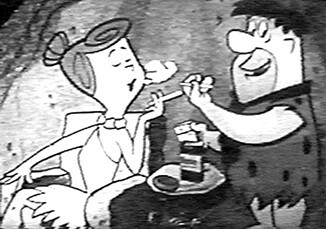 Tobacco producers were so powerful that by the 1960's they had Television cartoon stars of The Flintstones endorsing smoking cigarettes! They promoted Winston cigarettes on television advertisements during the show in the early years and only for a short period of time. Once the 1940's rolled around there were many Companies competing for the burgeoning market of mass-produced lighters and smoking accessories. 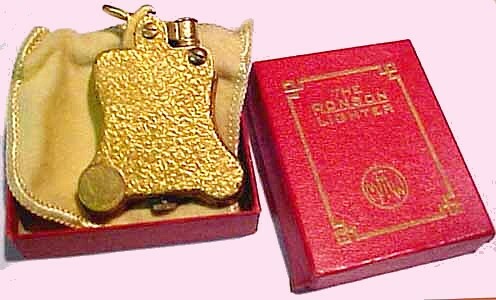 Ronson had developed and patented the Banjo lighter in 1926 which began the one-motion lighter craze, one-motion meaning "Press it's lit, Release it's out" style of lighter. This was a pivotal point for Ronson's success, their Patent offered specific protection for the Ronson invention in the U.S. This meant that no other company could produce an automatic lighter until Ronson's Patent rights expired. It would not be long before their patent rights were put to the test. From a lighter collector's point of view, it is clear that many companies copied Ronson's mechanism and at least one company pushed Ronson management to the breaking point and a lawsuit was filed for Patent infringement. The Evans Case Company of North Attelboro, MA., developed a fine reputation as a producer of Lady's handbags and accessories. Lighters were a natural choice to compliment their product line. They had produced a popular line of lighters called Lift Arm lighters in the mid 1920's, but the one motion phenomenon had begun and smokers wanted the latest and greatest products. When Evans began produced lighters that violated their exclusive patent rights, Ronson was forced to pursue a legal remedy. Although it took several court cases and many years, Ronson's exclusive patent rights finally assured their right to the automatic style of lighter and the Evans company had to pay Ronson a royalty for every lighter they produced. Although Ronson had been in business for over two decades, they were focussed on producing metal wares with wonderful plated and enamelled finishes. The success of their cigarette lighters changed the direction of the Company and as the Art Deco movement swept the country in the early 1930's, Ronson was ready with reliable products and trend setting designs. Many of the most popular and desirable designs are attributable to one man's creativity, Frederick Kaupmann. We have designed this site to feature products from the Art Deco period, 1930's through 1940's. Within this site you will find photographs and descriptions of cigar and cigarette lighters manufactured by Ronson, we have also included some other Ronson products which may surprise you. It is simply amazing the incredible variety and seemingly endless designs attributable to Ronson and their employees. This company was a leader of the Art Deco movement in America, and probably, the world. In addition to their strong Art Deco contribution, Ronson also produced artistic metal wares for Commercial advertising, School & Fraternal organizations and for the Military. 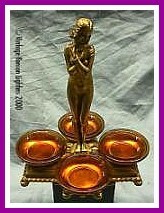 Some of the variety of products include, Ashtrays, Automobile Mascots, Book Ends, Busts, Cigarette Boxes & Humidors, Cigarette Dispensers, Desk Sets, Electric Lamps & Candelabra, Incense Burners, Military Metals & Buttons, Paper Weights, Pen Trays, Perfume Misters, Picture Frames, Religious Goods, Sparking Toys, Statues, Trophies, Wall Plaques and of course Lighters. Ronson was so prolific that it would be impossible to display all of their products in this forum. The site is only a glimpse of the ingenuity and diversity of this company. Although this company was innovative with their product designs, it is the quality and performance of their products that earned the distinction of "The Worlds Greatest Lighters" and continues to intrigue, fascinate and attract collectors and admirers worldwide. If you have a Vintage RONSON item that is similar to one listed here and have a general question not covered by Product Reports, you may write us through this link. The Guest book may be used to list RONSON items for sale or trade, ONLY RONSON ITEMS please!. If you have a Ronson Lighter in need of Repair, follow the link below. If you are looking for the current Ronson Lighters and Products, they are available at The Official Ronson Corporation Website, Follow the link below. Copyright © 1998 - 2017 Vintage-Ronson.com & Vintage Ronson Lighters, Ltd. The Photographs and descriptions contained within this web site are copyright. Vintage-Ronson.com & Vintage Ronson Lighters, Ltd., will initiate legal proceedings against the publishers or designers of any publication or web site containing text or photographic images originating from this source without prior written authorization.